Take a Family Cruise Vacation - An excellent vacation idea where you can spend time as a family, and find time to enjoy time together as a couple and as a family. A family cruise vacation makes a GREAT family vacation. 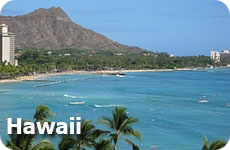 Most cruise ship lines have fun and exciting activities geared for the whole family. Wow don't they look young! Royal Caribbean has created their ships to cater to this with their ice skating rings, rock climbing walls, mini golf courses and the onboard water parks. Many of their ships even have a Johnny Rockets Franchise. It's a lot of fun watching the international crew sing and dance to the Rock and Roll of the 50's and 60's. A family cruise vacation offers destinations with activities that fit the whole family, from the awesome beaches with lots of beach activities to the incredible excursions and adventure activities like zip lining or riding an ATV. 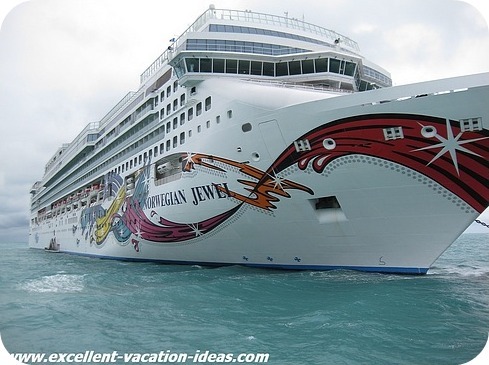 Norwegian Cruise Lines have recently introduced Nickelodeon characters and activities on some of their ships, have a great kids club and bowling alleys and 2 story Wii games. Princess have family activities like the Movies Under the Stars up by the pool. You can have a great dinner in one of the restaurants and your kids can still have a kids menu and enjoy the meal together. 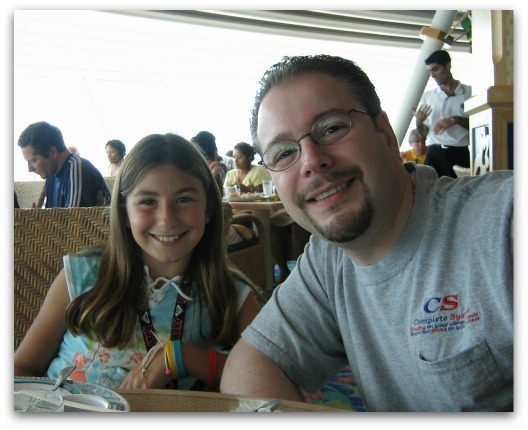 Some of our favorite meals as a family have been on a ship. It is hard to go on this type of vacation with your family and not play together and reconnect! 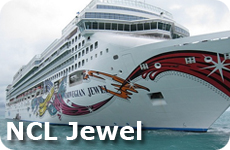 For a recent family cruise vacation, we cruised on the NCL Jewel. We had a blast as a family zip lining on Roatan Honduras, and enjoying a quiet beach day in Costa Maya Mexico. 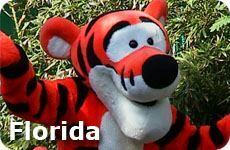 Check out our tips for Cheap All Inclusive Family Vacations. A vacation on the seas has the best of both worlds. 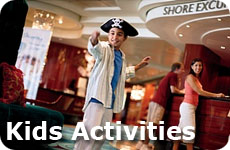 There are many activities that the kids can do in the on board kids club with other kids. And most companies have some adult only restaurants or areas. This makes for a great Combo type vacation. Make sure that you plan time together as a family though! You may never see your kids. They may ask if they can skip dinner to stay with their friends. You may have to beg them to stay with you! 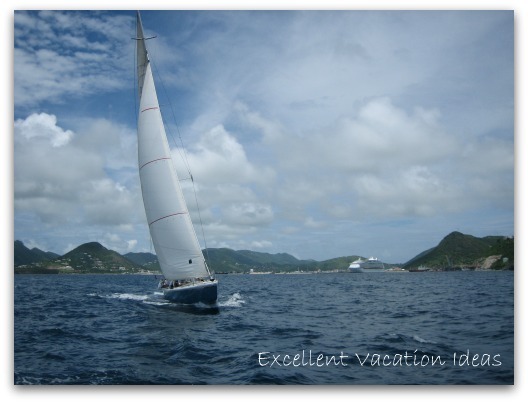 I love sailing and the water, my family doesn't so much, so on the Adventure of the Seas, in St. Maarten I did a sailing shore excursion on my own. It was great! This allowed my to do something I love, while they spent some quality time together on the island. It was perfect! so I went on my own and had a blast!! Disney does this best for the younger kids (and the older ones too). They give you a pager so if your kids need you, you can return to the kids club right away. They then have an adult only beach on their private island, Castaway Cay, and adult only pools and entertainment venues. Where else can you say that you kid wanted to be with Snow White at story time than with you? All of the other big lines have great kids clubs as well. It will allow you and your significant other time alone together, or you can do an activity they the rest of your family doesn't want to do, and your kids to have lots of kid time! On the Disney ships, the kids club offer activities where the kids eat as a group with a Disney character and parents can dine in an adult only restaurant. On our spring break vacation on the NCL Jewel, Montana met some kids her age. So she spent the evenings hanging out with them (she really didn't want to hang with us) and that allowed couple time. We would have a drink or hang out in the casino. It was a great week! 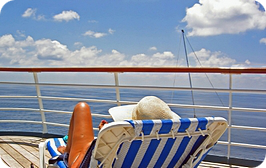 What are your favorite or not so favorite family cruise vacation experiences? We would love to hear about them and we know other visitors would too. 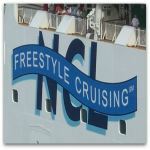 See why NCL is the line we choose when looking for cruise ship vacations.